In the video Dead Or Alive performing You Spin Me Round. 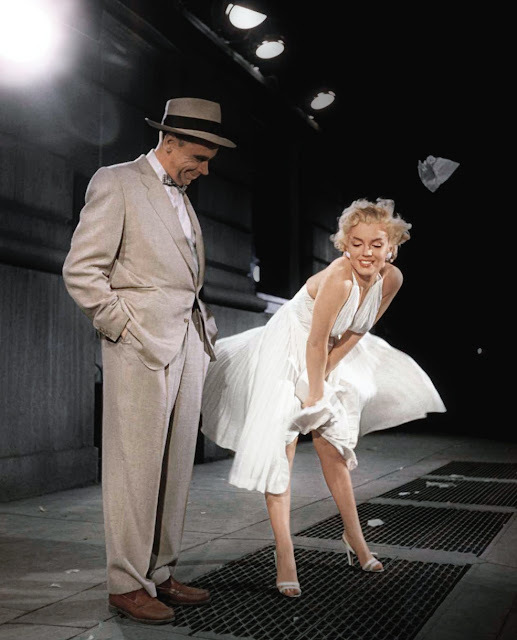 In the photo Marilyn Monroe and Tom Ewell in The Seven Year Itch (1955) by Billy Wilder. Photo caption by Sakyong Mipham. Title by Mascotes.